Concluding our blog series Car Accident Cases and Compensation: FAQs, below we will provide some final responses to frequently asked questions about car accident compensation and the process associated with obtaining it. Q – How long after a car accident do I have to start a case and seek car accident compensation? While you can learn more about car accident compensation from these FAQs, don’t hesitate to contact us for more specific info about your rights and case. A – Two years from the date of the car accident in Colorado. This may seem like a lot of time, but it’s not, especially if you may be relying on car accident compensation to cover bills essential to your recovery. There will typically be more evidence available. Your memory (and other witness’ memories) of the events of the collision will likely be clearer. Consequently, your case will be stronger. In other words, the longer you wait to file a claim, the more likely it will be that essential evidence for your claim will be misplaced, forgotten, lost, etc. Q – How much will my car accident compensation be? Whether a person has claims for lost wages (because his car accident injuries have put him out of work for some time). If you want more precise answers about what you can expect in terms of car accident compensation, let’s talk. Call us to set up a free initial consultation, receive a professional case evaluation and get some answers about car accident compensation in your case. 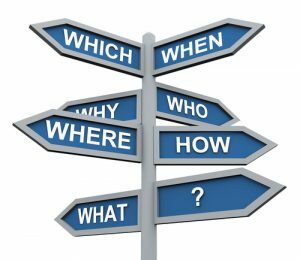 Q – What should I do to start the process of getting car accident compensation? A – Contact us today. Once you contact us and meet with one of our Colorado Springs car crash lawyers for an initial consultation, we can get started on your case immediately if you choose to retain our superior services. We will take care of everything necessary to initiate and resolve your case so that you can ultimately obtain the maximum possible car accident compensation for your injuries and losses. Have you or a loved one been hurt in a car accident? If so, Colorado Springs Car Accident Attorney Kenneth Shakeshaft is here for you. Since 1982, Kenneth Shakeshaft has been providing people injured in car accidents with superior legal service, helping them stand up to insurance companies, large corporations and/or government entities alike.